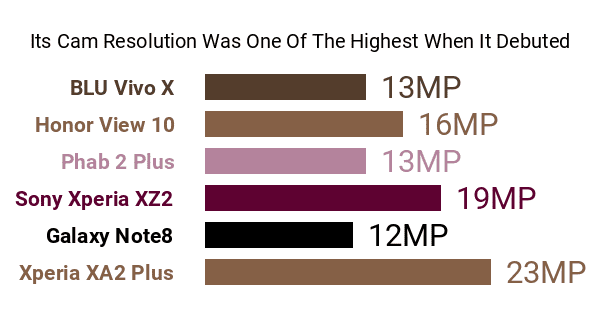 Though it was a little late to the party (The the XA2, XA2 Ultra, and XA2 Compact, all of which are also featured here at Phonerated, entered the market several months earlier), the Sony Xperia XA2 Plus's pros and cons still made it the highest-specked Xperia XA2 variant when it entered the market. 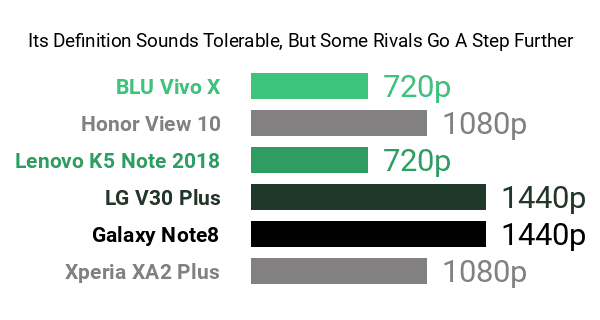 Sadly, though, it comes with a few questionable specs, one of which is its decision to stick to an FHD+ (1080p) screen resolution , despite a few of its high-tier phablet contemporaries boasting premium (as of this technical review) QHD/QHD+ (1440p) definitions. Also, at 204 grams , it's a pretty weighty wide-screen smartphone -- several competing 6-inchers weigh around 170 grams only. Nevertheless, its 6-inch facade, which has an 18:9 aspect ratio and a damage-resistant Corning Gorilla Glass 5 finish , puts it in high-end territory display-wise. 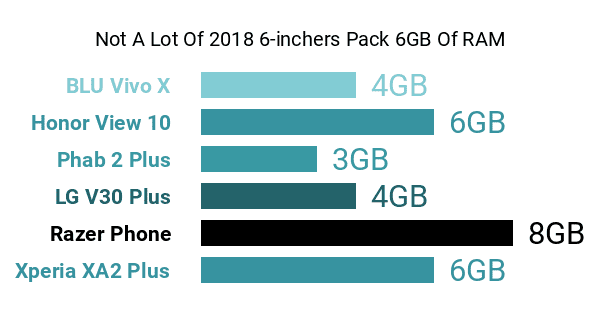 Another slight con is its middle-of-the-road (compared to the 4000mAh cells of some tantamount models) 3580mAh battery , although stamina-oriented features like Sony's Qnovo Adaptive Charging and Battery Care are appreciable pros. Joining the XA2 Plus's battery under the hood is a massive 6GB RAM, which is one of its biggest pluses over the XA2 Ultra variant. Moreover, it runs on a 2.2GHz Qualcomm Snapdragon 630 octa-core processor that may not put it among the fastest smartphones available, but is nevertheless worthy of an upmarket smartphone. This high-caliber Xperia model's selling points also include a 23-megapixel Hybrid-Autofocus-equipped camera whose high pixel resolution possibly snags it a spot in our list of the best photography-driven phones on the market, despite setting for a single-lens setup (Dual-lens cameras were all the rage when it came out). It captures 4K or Ultra HD (3840 x 2160) videos and delivers the brand's trademark SteadyShot technology. Right under its forenamed main camera is a circular fingerprint sensor, while a respectable 8-megapixel 120-degree wide-angle selfie camera sits above its display. This XA2 variant's multimedia pros and cons also include somewhat standard audio technologies from Sony , including ClearAudio+, Clear Bass, and SmartAmplifier. They are accompanied by either 64GB or 32GB of internal memory, which can be expanded by up to 400GB . Overall, though it fails to deliver an ultra-high-end screen and a monstrous power cap, the Xperia XA2 Plus still sounds like a viable choice for those in search of a multimedia-driven large-screen Android.